Sophie Choudry was snapped at the Mumbai airport as she left for London on September 22, 2017. What caught everyone’s attention was her pet dog, which was there at the airport to see her off. 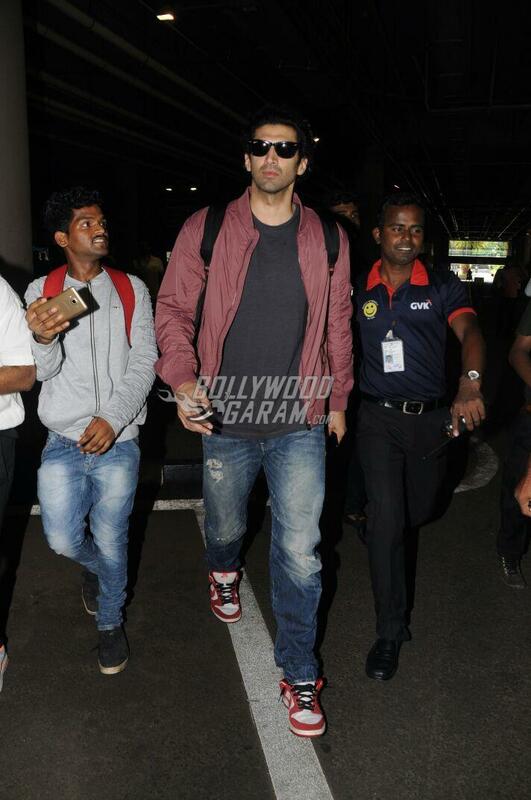 The airport also saw Aditya Roy Kapur who was snapped returning from Kolkata. Sophie looked pretty in a white shirt with ruffles and black trouser. The actress also posed for the cameras with her pet. Aditya too looked great in a casual grey t-shirt, blue denims and a pink jacket. The actor was all smiles for the cameras as he made his way out of the airport. On the work front, Aditya will soon be seen in the upcoming film Happy Bhag Jayegi 2, Crazy Hum and Shiddat which are all due in 2018. The actor was last seen in the film OK Jaanu, which did an average business at the box office. Exclusive photos of Sophie Choudry and Aditya Roy Kapur at the airport!